“Shakespeare and Theatrical Conversions” – Michele Osherow, University of Maryland, Baltimore County, and the Folger Shakespeare Theatre. It was good to return to Richard II, which is a key part of the project of Shakespearean Territories. The paper was only about 28 minutes, so some key parts had to be cut out, but there is a longer written draft in place. You can listen to an audio recording here. 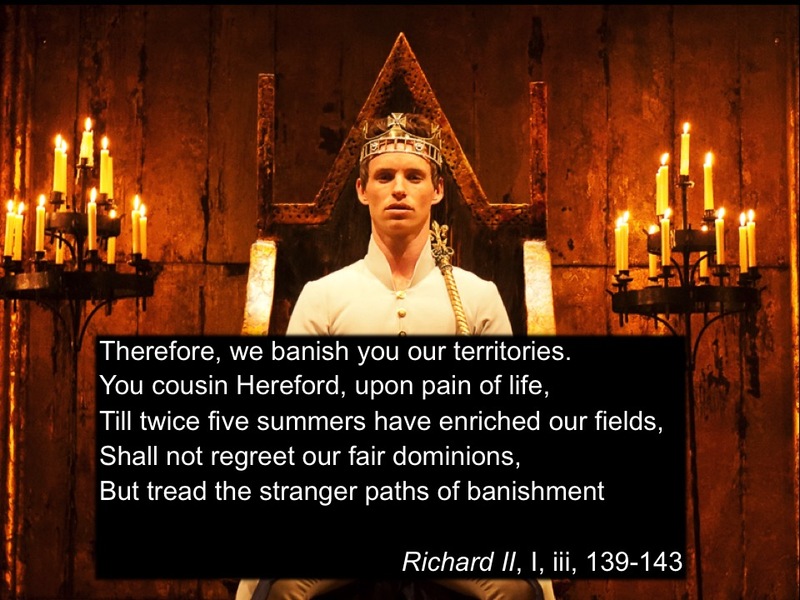 The play is one of only handful by Shakespeare which includes the word ‘territories’, and only once, but, as I suggested, the question of what we now call territory runs much more deeply through the play. I tried to cover the key issues of banishment, pilgrimage, political economy of land, rent, and the rebellion in Ireland. The recurrent language of earth, land, ground is important in the play, as is the repeated threat of blood soaking into the soil. Certainly more work needed before this forms part of the planned book, but good to return to this wonderful, rich play. This entry was posted in Conferences, Shakespearean Territories, Territory, William Shakespeare. Bookmark the permalink.